Mahler: Symphony No. 2 in C Minor "Resurrection"
Gustav Mahler's Second Symphony started life as a single-movement tone poem called Todtenfeier (‘Funeral Rites’). Completed in 1888 – one year before Richard Strauss's Death and Transfiguration – it echoed the composer's vision of seeing himself lying dead in a funeral bier surrounded by flowers. Deciding to use it as his opening movement, Mahler didn't finish the complete five-movement symphony until more than six years later, the longest time he spent on any work. The huge scale of the work apart, its weighty subject matter may well have contributed to the slow progress: Mahler himself outlined a scenario making references to the ultimate meaning of life and death (first movement), recollections of lost innocence and the desperation of unbelief (second and third movements), the return to naïve faith (fourth movement) and final redemption from the last judgement (finale). To convey this he took recourse to the human voice: incorporating a solo alto in the 4th movement Urlicht, he went on in the finale to risk comparison with Beethoven's Ninth Symphony by introducing a choir, as well as a soprano and alto soloist. 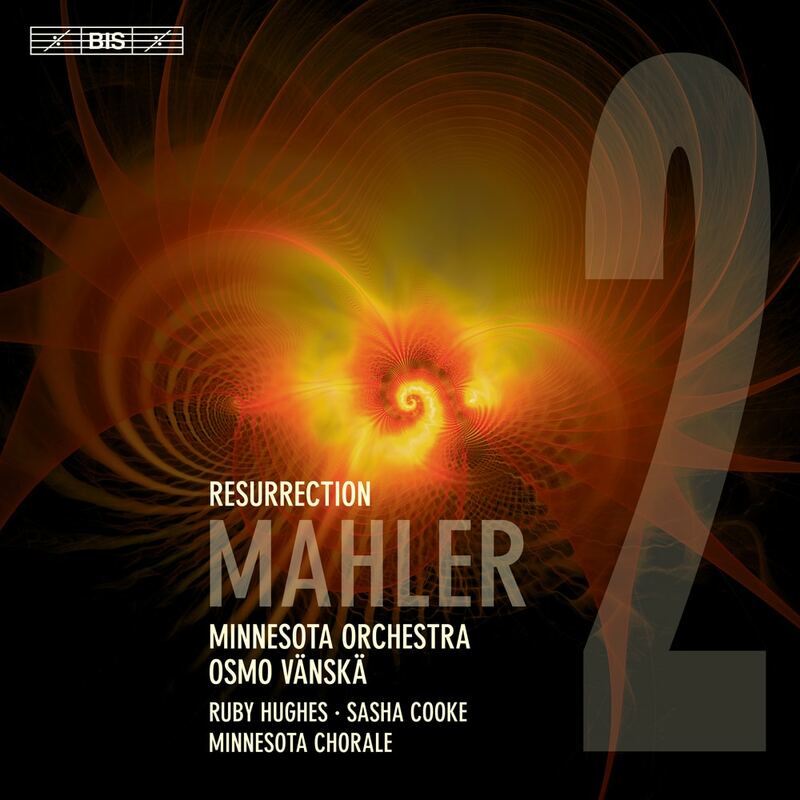 Minnesota Orchestra and Osmo Vänskä have received praise for their previous Mahler recordings (‘Vänskä and the orchestra are among the finest exponents of Mahler’s music...’, allmusic.com). The team is here joined by soloists Ruby Hughes and Sasha Cooke and the Minnesota Chorale in the deeply moving close to the vast and tumultuous panorama that is his Second Symphony.